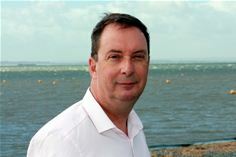 Brighton, UK – August 3, 2017 – After 35 years in the Civil Service, Tony Singleton OBE, the driving force behind the government’s Digital Marketplace, says goodbye to public service and hello to consultancy. Singleton joins public sector procurement consultancy Advice Cloud as a Strategic Advisor, where he hopes to share his experience with suppliers looking to sell to government. After a long and monumental service in the Public Sector he now intends to focus on developing his consultancy work helping to, as he puts it, “turn ideas into reality”. Back in May when news of Singleton’s career change broke out, he noted that although there has been a very real revolution in the way government works and public services are delivered, the rate of change lacks the pace and dynamics that are needed today. His role at Advice Cloud is one of the ways he intends to continue to be part of that change. “I strongly believe that the UK public sector has a lot to gain from using new and innovative suppliers that it has not had the opportunity of working with before. SMEs bring fresh, new ways of solving problems and delivering products that help ensure services meet the needs of users. One of my achievements in setting up the Digital Marketplace was to reduce barriers for entry and open up the UK public sector market, giving over 2,500 suppliers the opportunity to work with the public sector for the first time. 88% of these were small and medium size businesses (SMEs). Working with Advice Cloud gives me the opportunity to work with those suppliers, helping them to make the most of the opportunities open to them,” says Tony Singleton OBE. Currently in its 9th iteration, G-Cloud alone has since its inception generated over £2 Billion of sales, with 47% being awarded to SMEs. Tony Singleton has always been passionate about providing opportunities for more quality suppliers to win public sector work and aims to take this forward working with Advice Cloud, who share his vision. “I am incredibly excited and humbled to have a person of Tony’s calibre join the team. He will bring an unrivalled wealth of experience and knowledge to us here as well as assisting us & our ambitious SME clients deliver better public services,” says Chris Farthing, Managing Director at Advice Cloud. Tony Singleton has twice been named one of the top 50 most influential people in UK IT and has been awarded an OBE in the Queen’s Birthday Honours List 2014. He brings experience of over 35 years working in Government to Advice Cloud. A graduate of the Cabinet Office’s Major Project Leadership Academy, he was chief operating officer for Directgov from 2006 to 2011, before becoming chief operating officer of the Government Digital Service. From March 2014 he was the G-Cloud and digital commercial programme director, a post he maintained until March 2016. After his pioneer work on Digital Marketplace he was Chief Operating Officer at the BEIS Department and until recently the IFA Set-up Programme Director at the Department for Education. Advice Cloud are public sector procurement specialists and G-Cloud consultants. The company specialises in assisting both Public & Private organisations buying and selling IT, Cloud, Business Process Outsourcing (BPO) and Digital & Professional services. The Team has over 30 years of combined experience in public sector procurement and a 100% listing success rate across government frameworks. They have helped numerous local organisation open doors to selling to public sector and consulted many government organisations, including B&H City Council, Horsham District Council and Adur & Worthing Councils, on their procurements.